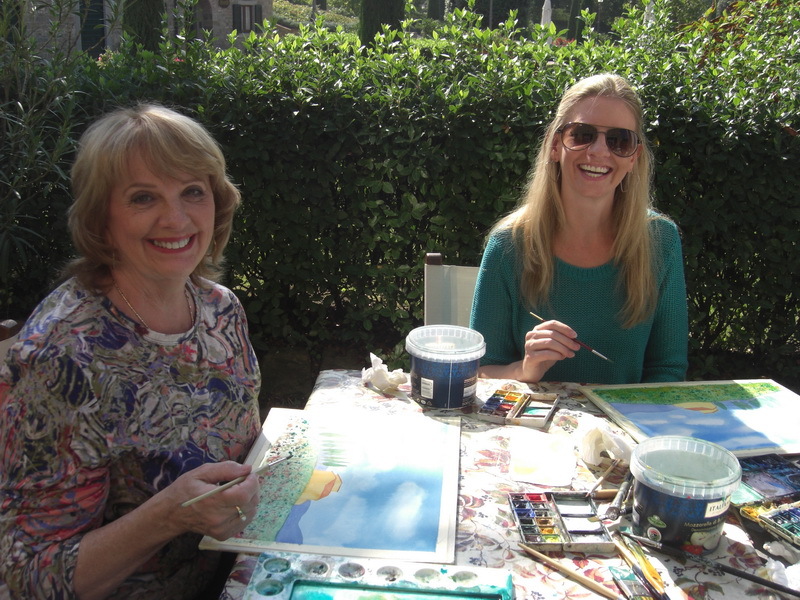 Even if you have never painted before (and even if you believe you can’t) Elizabeth’s carefully-planned tuition will help your artistic talents blossom. 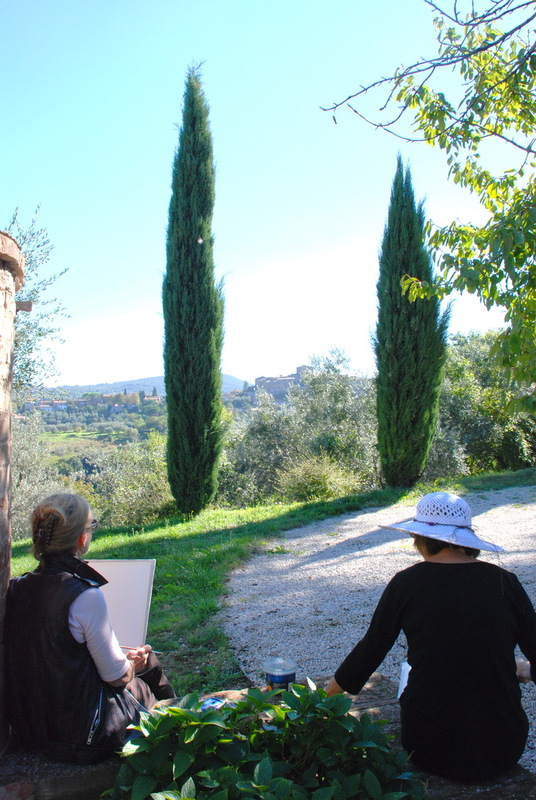 Your morning or afternoon lesson will take place in a private garden in Montisi, or at your villa. 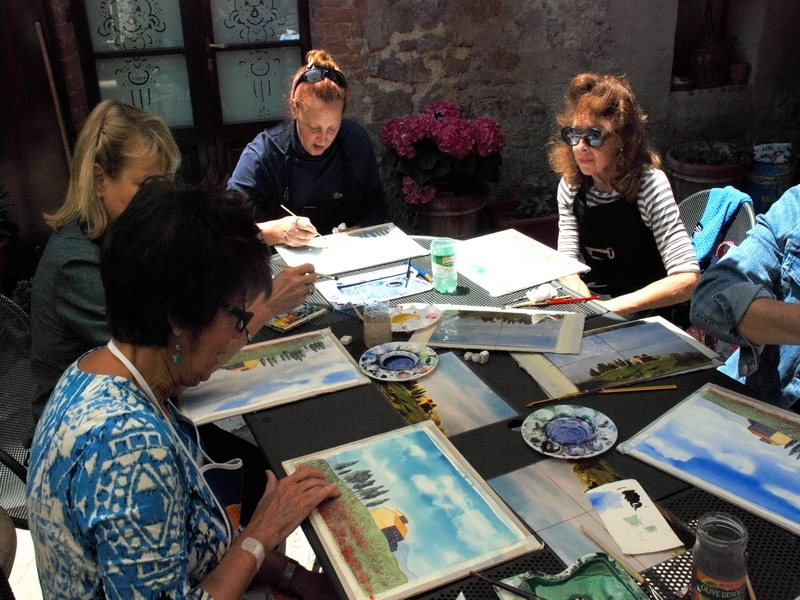 Elizabeth will take you step by step through the process of creating a complete watercolour painting. 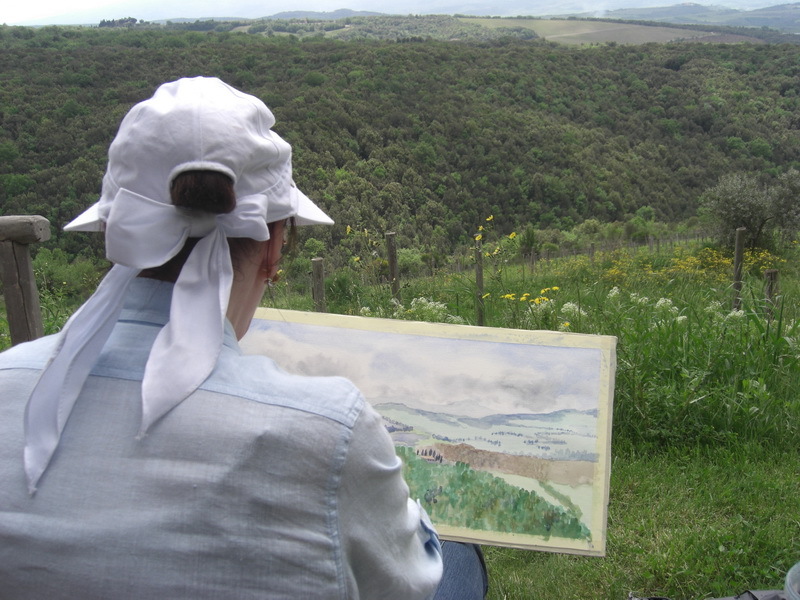 Receive expert help with your painting and assistance with any glitches. 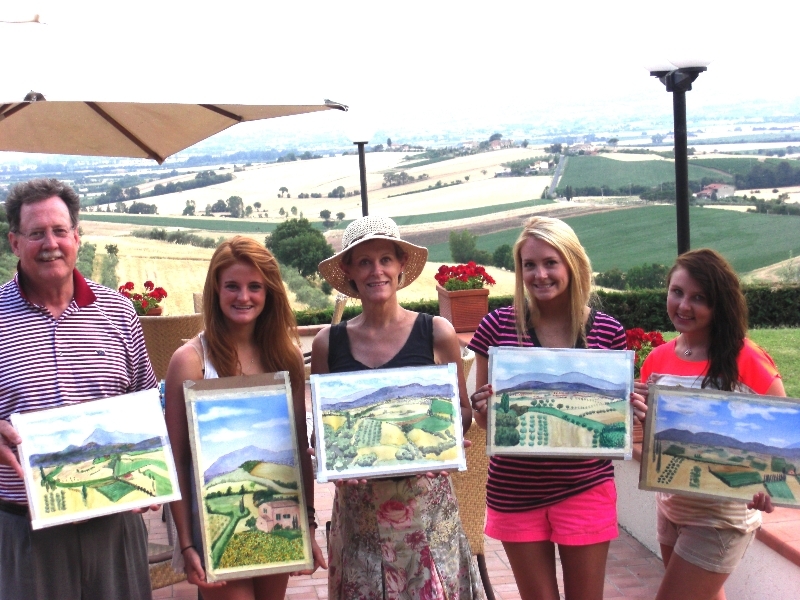 Although Elizabeth’s watercolour lessons are designed for adults, accompanied children are always welcome. 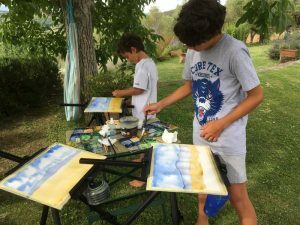 Painting can be a very enjoyable and fulfilling experience for parents and children, especially when everyone is learning together from the beginning. 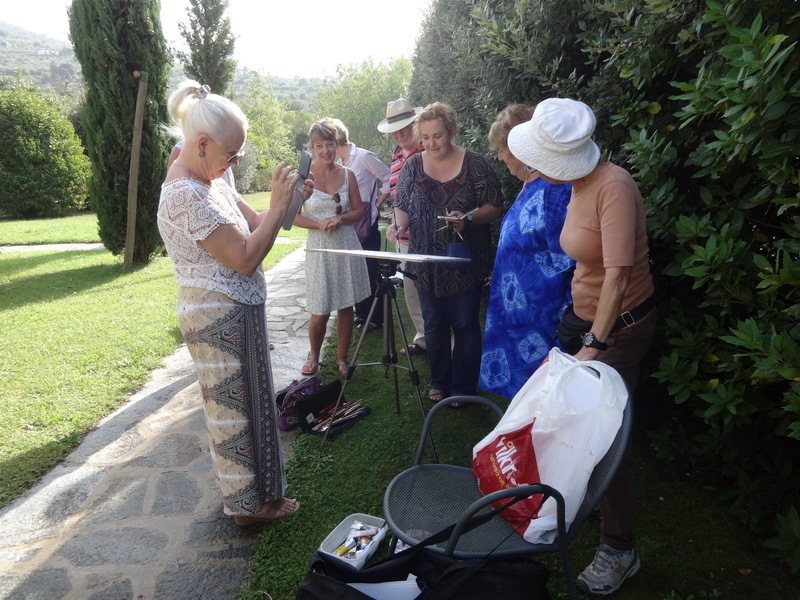 Whatever your age or ability, Elizabeth can arrange a 1/2 day or full day workshop to meet your individual needs, or those of a larger group. 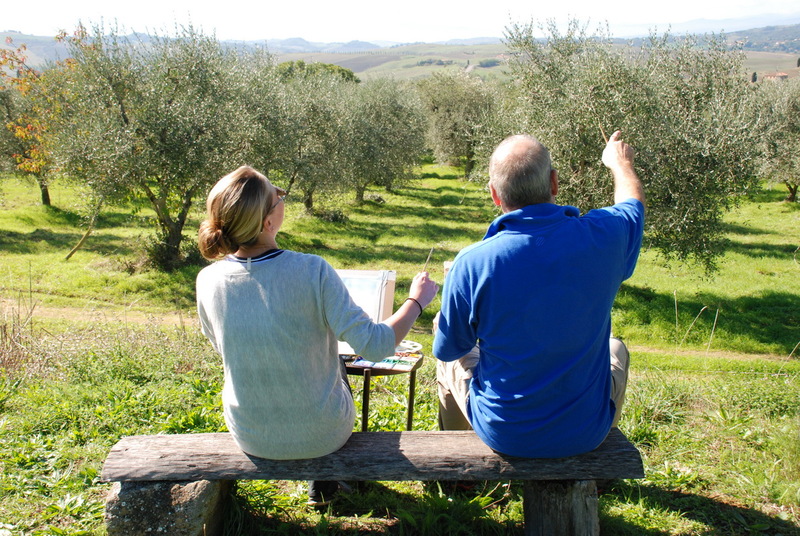 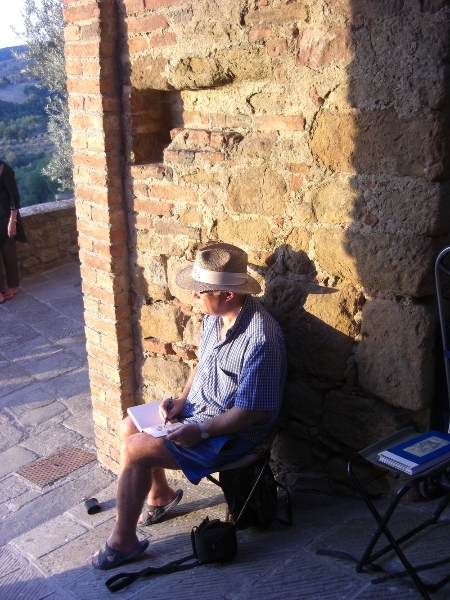 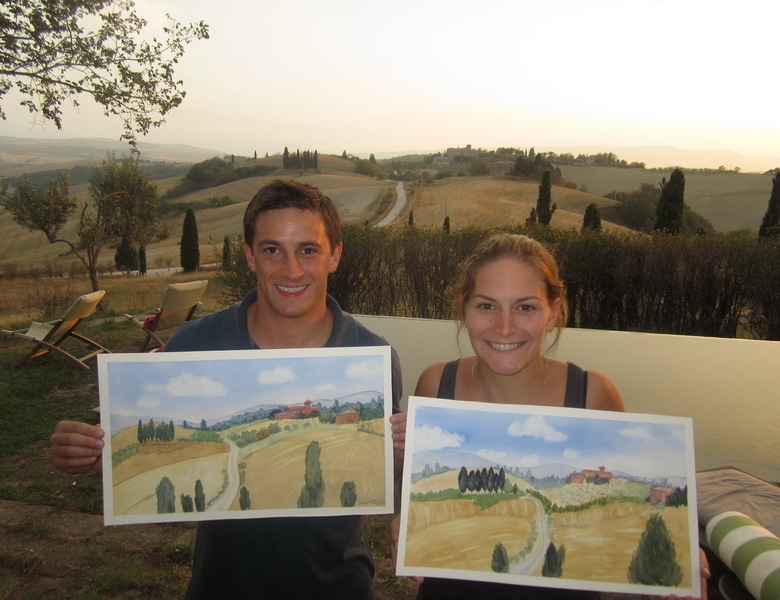 With her extensive local knowledge, she can help you plan a personalised painting experience that takes in some of Tuscany’s most breathtaking views. 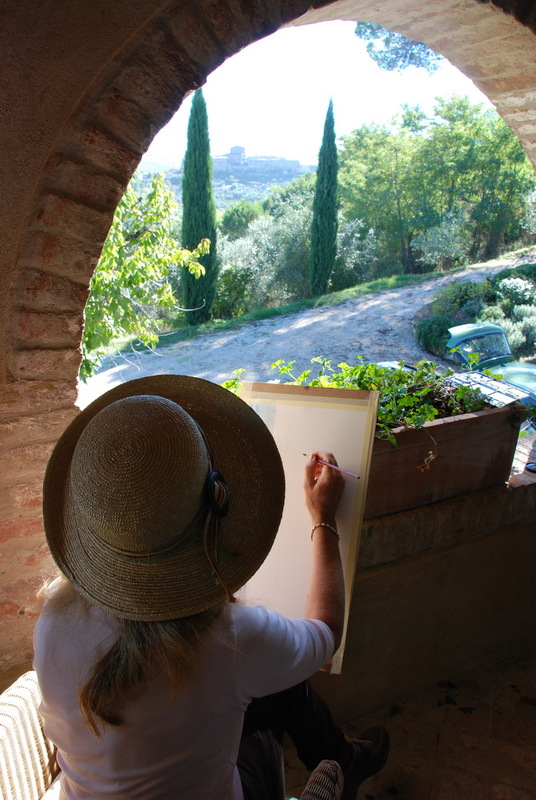 She can also organise accommodation for you in Montisi or nearby. 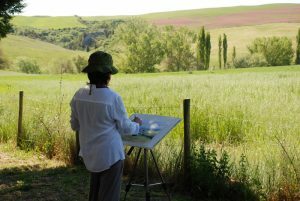 Please contact Elizabeth to discuss your requirements or book a watercolour lesson. 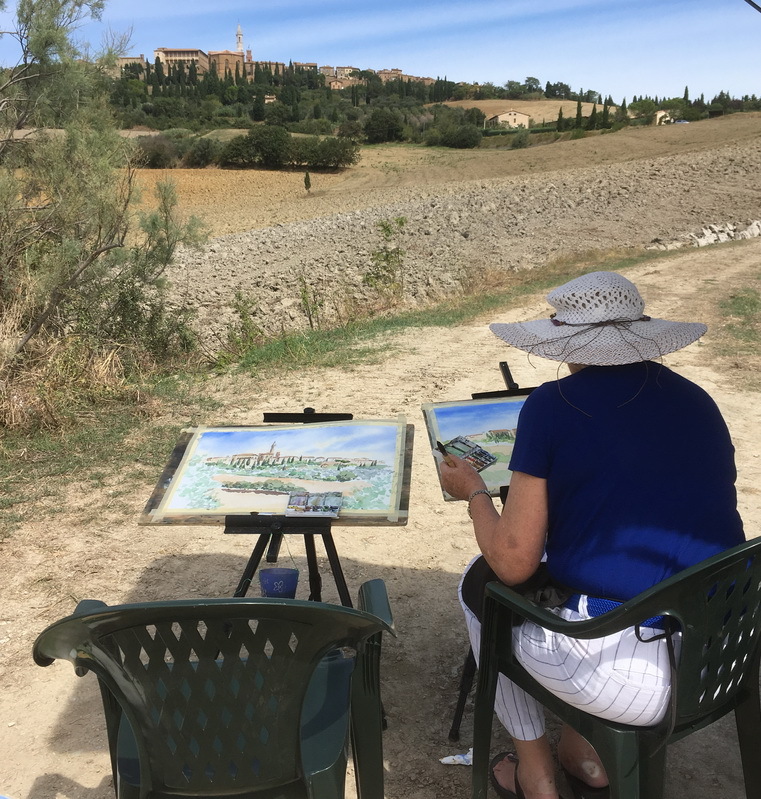 For bespoke art courses or holidays, please give Elizabeth plenty of notice as it will take time to plan your painting experience. 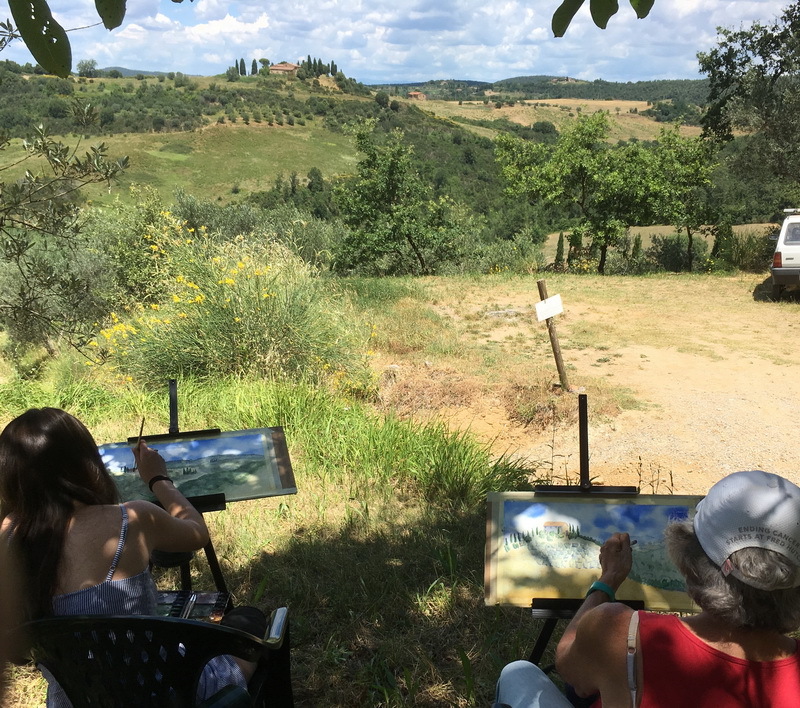 Before you book, why not read about some of her former students’ experiences and achievements on her Testimonials page? 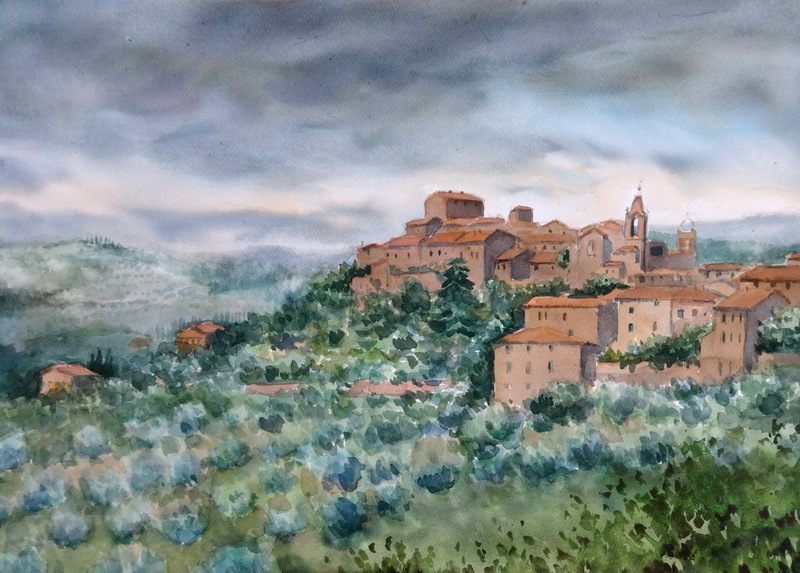 Or visit our Students’ Gallery page to look at some of the masterpieces they’ve created.